For some people, the thought of their first car triggers a nostalgic trip down memory lane, punctuated by popular songs that they blasted through the car’s stereo and embarrassing trends that were rocked from behind the wheel. For me, the same nostalgic process occurs when I think about my first ‘real bag’ purchase. No, I’m not talking about the silly Coach bag birthday presents that preppy high school girls get from their parents; I’m talking about the first bag I saved up what felt like thousands of dollars to buy for myself. 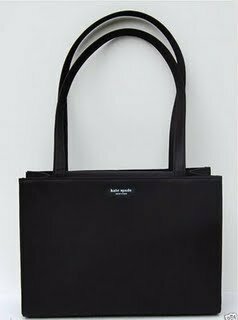 The bag: a (now hideous) black nylon shoulder bag from Kate Spade. Before you judge my taste harshly, please know that I was a junior in high school, it was 1999 and Kate Spade used to be cool…sort of. While the ability to blow hundreds of dollars on a new bag is still as difficult now as it was 10 years ago, I’ve (thankfully) graduated to somewhat more stylish handbags. My current obsession: Mulberry’s Alexa bag (pictured above with its eponymous muse, Alexa Chung), which even if I was willing to drop $1,000+ would still be unattainable since it’s currently sold out everywhere…which only makes me want it more. So, to the marketing genius sitting in an office somewhere in some city more fashionable in Boston, rest assured that you’re doing your job as well as your counterpart in the tobacco industry. You hooked me young and now I can’t quit.